The Financial Services Commission (FSC) held the first meeting of the Financial Innovation Screening Committee Monday under the supervision of Chairman Choi Jong-ku and selected 19 services as those facing the financial innovation screening. The 19 services will undergo screening in April and those passing the evaluation will be designated as the target services of the financial regulatory sandbox. 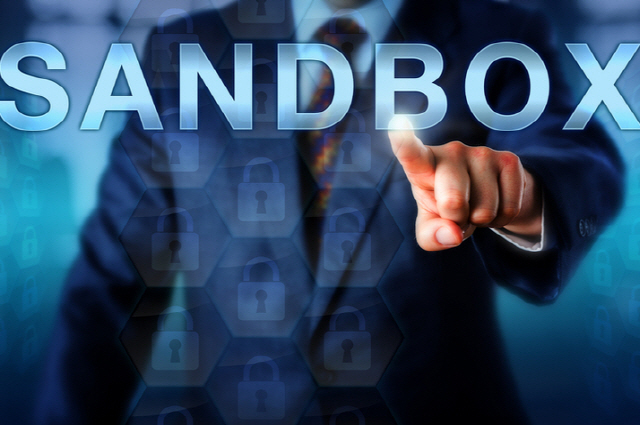 The financial regulatory sandbox is a scheme aimed at encouraging business innovation by relieving companies from relevant regulations governing new services for up to four years under the Special Act on Financial Innovation Support that went into effect Monday. Blockchain-related services facing the priority review include a blockchain-based peer-to-peer stock trading platform, a digital real estate beneficiary certificate distribution platform using distributed ledger technology and a real-time update system for stockholder lists using blockchain technology. These services were applied by Directional, Casa Korea and Koscom, respectively. Services related to AI and big data include AI-based credit information providing service, credit rating service of self-employed business owners using credit card information, a mobile lending platform using big data and a customer data-based automotive finance platform. These were applied by Douzone Bizon, Shinhan Card, Pincette and Fintech, respectively.